NASA’s new deep space exploration systems will send crew 40,000 miles beyond the Moon, and return them safely home. 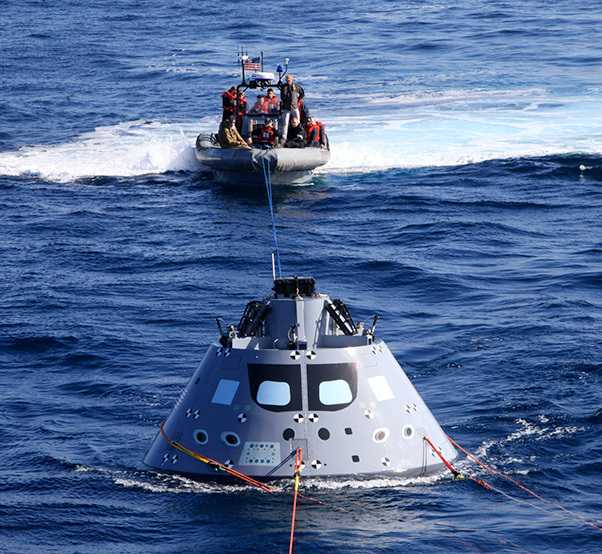 After traveling through space at 25,000 miles per hour, the Orion spacecraft will slow to 300 mph after it passes through the Earth’s atmosphere. The spacecraft then slows down to 20 mph before it safely splashes down in the Pacific Ocean. Last week, the integrated NASA and U.S. Navy team are aboard the USS Anchorage, testing out new ground support equipment and practicing their procedures.